100% Satisfaction - Guaranteed - We want happy customers. Happy customers tell their friends, the friends tell their friends and so on. That equals referral business and a long term relationship for both parties. If you ever encounter an issue where you are not happy with the product, the service or both, contact us so we can work it out. We are all customers ourselves and tune our cars and know how it is if service or product is not to our expectations. It is our goal and intent to assist every one of our customers to the best of our ability. Many of the parts sold are for off-road or racing use only. As with any racing activity, there are risks in particular with performance modifications. All installations are at the customers own risk. Customer is responsible for having a road-worthy car at all times. 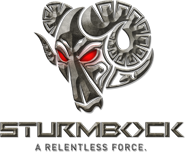 Sturm Bockholds no responsibility either implied or otherwise for mechanical, electrical or other failure when using aftermarket performance products. Some items listed maybe illegal in some countries and not suitable for public road use. Some items may only be used offroad or for racing vehicles which may only be used on race track or closed off roads. If you have questions about this topic contact us or your local authorities. We constantly offer highest possible accuracy of fit for carbon parts and body kits, which is confirmed by our large satisfied customer base. These parts however are in nearly all cases hand-made or custom-formed parts pressed out of molds. We therefore recommend using a professional specialist shop (workshop or body paint shop) which is qualified to fit and install such parts. In some cases preparation work is essential to reach best fitment results. If you have any questions with regards to pricing, procedures, payment terms or anything, get in touch anytime.